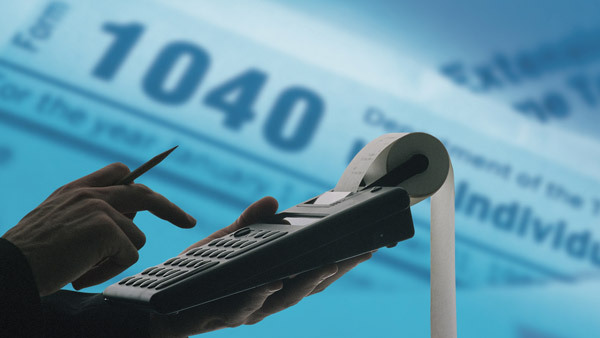 Are Your Clients Paying Too Much in Taxes? Right now, many advisors and clients dont fully appreciate the drag on returns caused by taxes, which adds up quickly, says Russell's Frank Pape. Only 19% of advisors surveyed recommended tax loss harvesting. Fifty-three percent of U.S. financial advisors in a new poll said their clients had paid more taxes in 2014 than the year before. At the same time, advisor-client conversations about tax strategies decreased last year, according to Russell Investments’ quarterly survey, released Tuesday. Twenty-two percent of advisors said taxes were among the most important topics discussed this year, down from 29% who said this in 2014. Moreover, only 27% of advisors said they currently encouraged clients to use tax-deferred strategies within their investment portfolios. As to what types of advice to provide, 19% of advisors said they recommended implementing tax-loss harvesting, while 14% simply recommended paying the taxes. “Right now, many advisors and clients don’t fully appreciate the drag on returns caused by taxes, which adds up quickly, especially in a low-return environment,” Frank Pape, director of consulting in Russell Investments’ U.S. advisor-sold business, said in a statement. For its latest Financial Professional Outlook survey, Russell polled 295 financial advisors working for 194 national, regional and independent advisory firms across the country. Eighty-one percent of advisors in the survey said after-tax returns were a concern of their clients, reaffirming, Russell said, the importance of tax-aware investing. And yet, 37% of clients’ taxable assets were not managed by their advisor. Russell said given that the whole portfolio must be considered when developing a tax-aware plan, advisors who decided to incorporate a tax-aware approach and include tax strategies might increase both their clients’ overall wealth and their own assets under management. He said advisors could address these concerns in a discussion of the potential advantages of a tax-managed approach, which can use market volatility to help balance losses against gains. “An investor’s personal tax policy is much easier to control than government policy,” he said. Thirty-two percent of advisors polled expressed dissatisfaction with and 25% uncertainty about the level of support and education they received from asset managers on tax-managed investing. Russell said myths persisted about who could benefit most from tax-aware investing and the range and capabilities of products available to support this approach. It said advisors still needed a better understanding of the products available for use in tax-managed investing, yet 50% were satisfied with the products available, while only 20% were not satisfied. “Many advisors and their clients don’t yet realize that there is more to tax-aware investing than muni bonds and index funds,” Pape pointed out. — Check out Estate Planning for the Modern Family: It’s Complicated, and Advisors Fall Short on ThinkAdvisor.